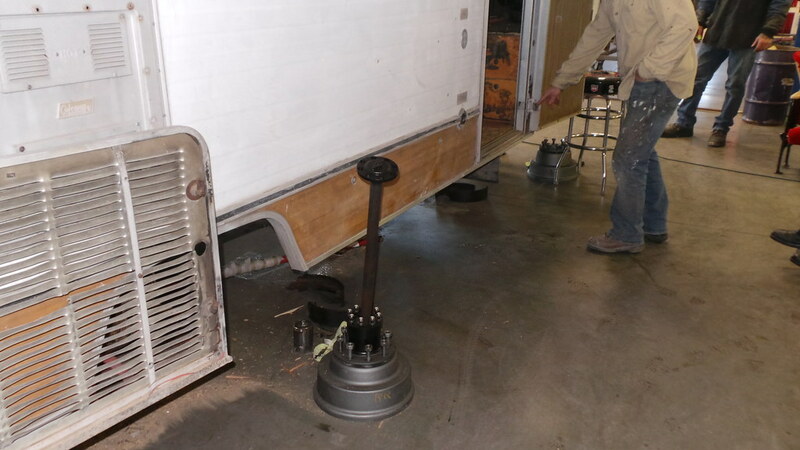 When we last saw the Ringbrothers Hot Rod RV we had just finished shipping it up to our shop in Spring Green, WI where we immediately proceeded to strip the entire interior and remove all of the running gear. While the previous interior had been fun and funky, it just wasn’t Ringbrothers. 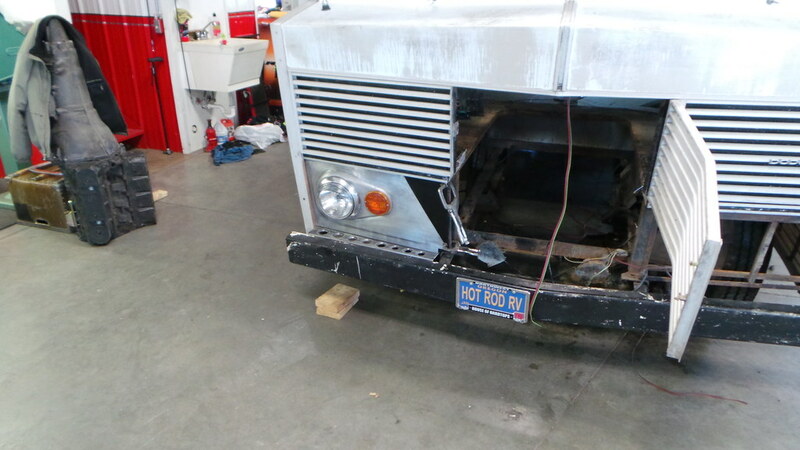 The mechanical condition of this RV left a lot to be desired too. The Mopar 318 was tired and worn out, as was the transmission, and there was only one working brake. Obviously the first step in our build was to get the Winnie back on its wheels again. 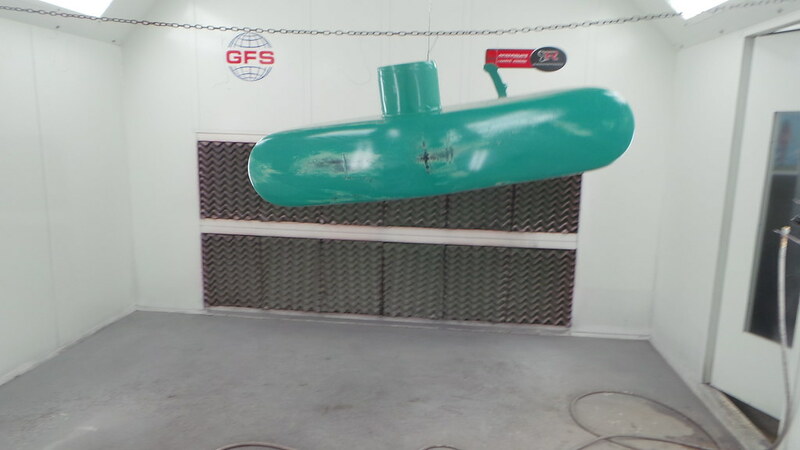 This started with us doing a little routine maintenance rebuilding the brakes, relubing the wheel bearings, and installing all new hardware. 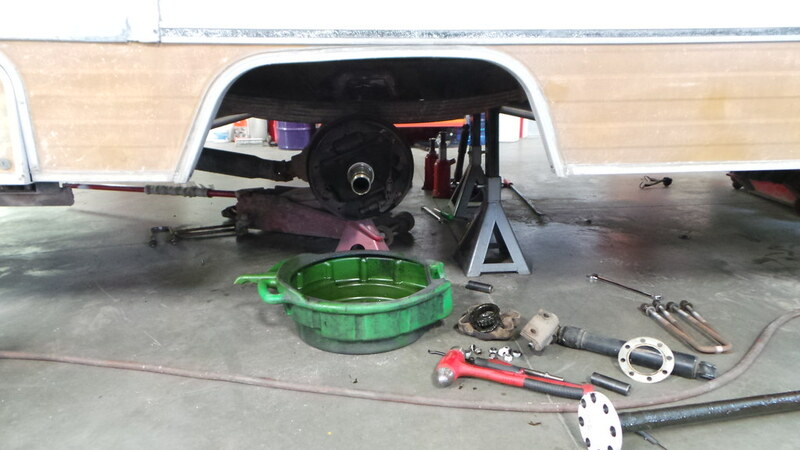 Once we had working brakes on all four corners, it was on to the wheels and tires. The original tires were old and worn, so we replaced them with a brand new set of Michelin tires after giving the wheels their new Battleship Gray color. 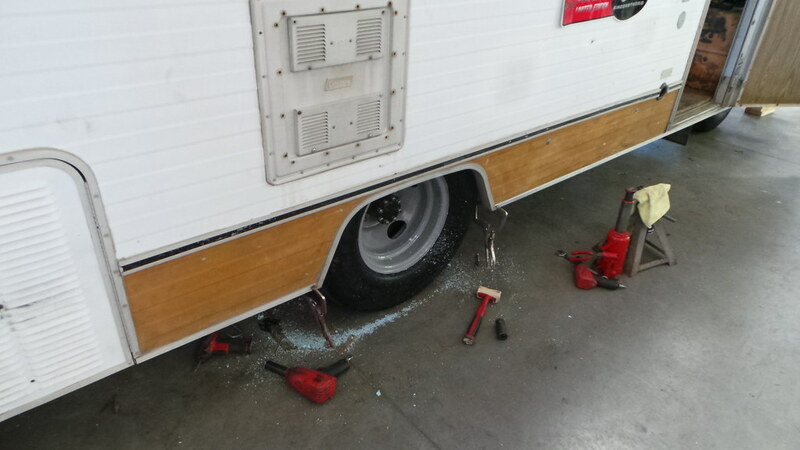 Now that the RV could stand on its own again, it was time to get down to the real work. 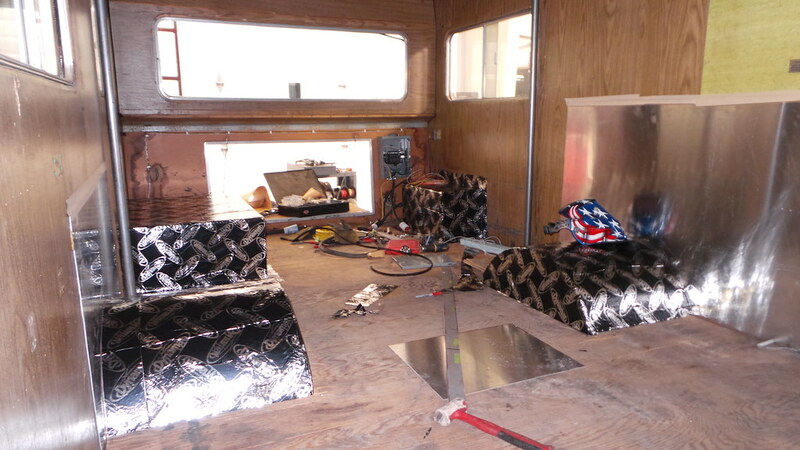 After considering many different design themes, we decided to model the interior of the RV after a World War II Bomber. 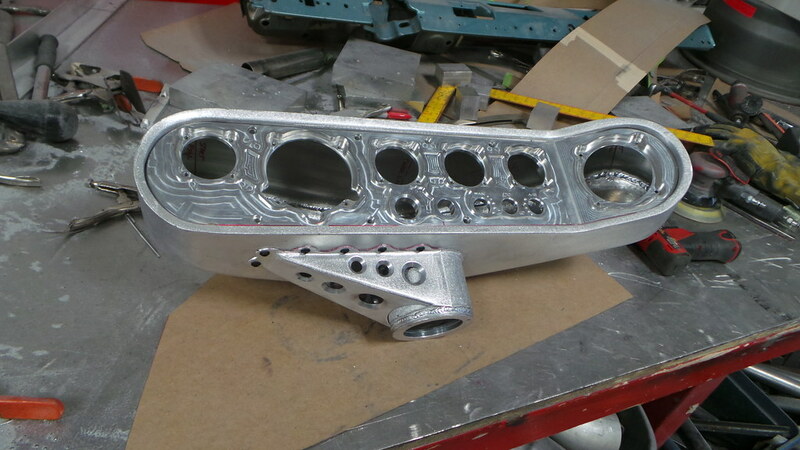 Now that we had settled on a theme and a design, it was time to get down to the fun stuff – fabricating! First up was the redesigned steering column and gauge cluster. 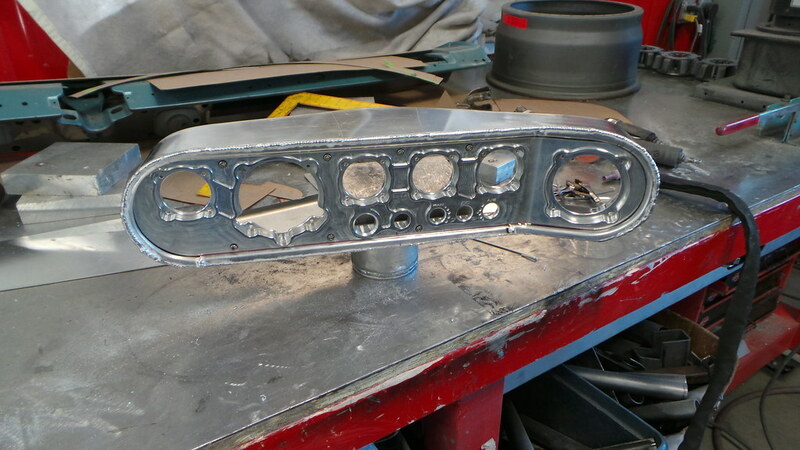 We created a custom cover for the OEM steering column that also gave us a mounting point for the new gauge cluster we were designing. 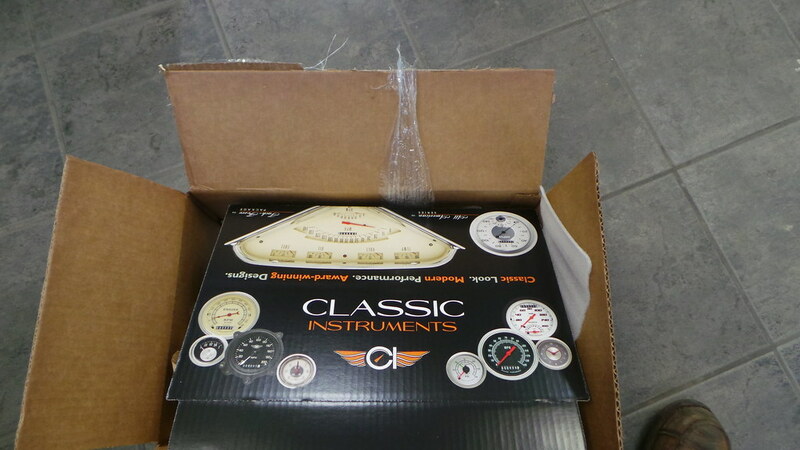 The gauge cluster is custom CNC-machined and includes space for a speedometer and tachometer as well as gauges for fuel, coolant temp, charging system voltage, and oil pressure. 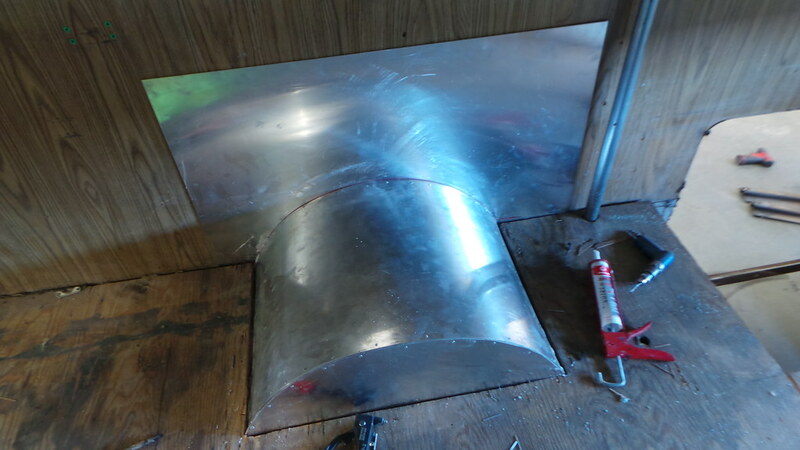 To mount the cluster to the column, we fabricated a sheet metal housing that will allow us to keep the wiring hidden and also tie in to the design of the column cover we made. Now, if you are thinking that this gauge cluster looks a little familiar, you would be right. 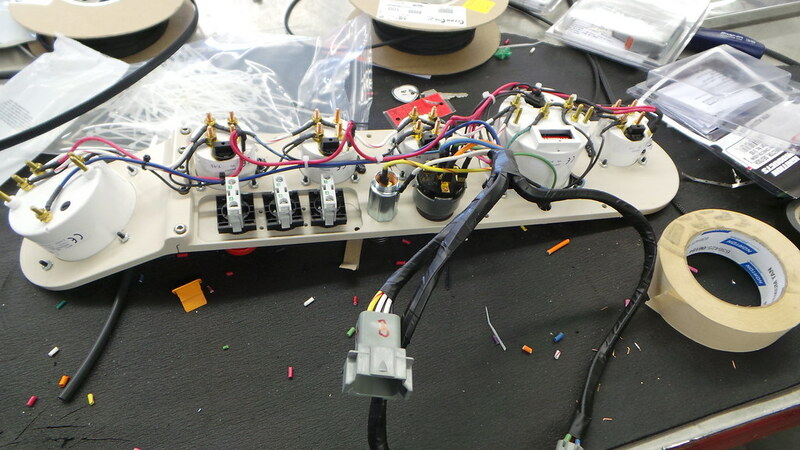 This is the same cluster layout and design we pioneered in our ’70 Mustang Dragon. 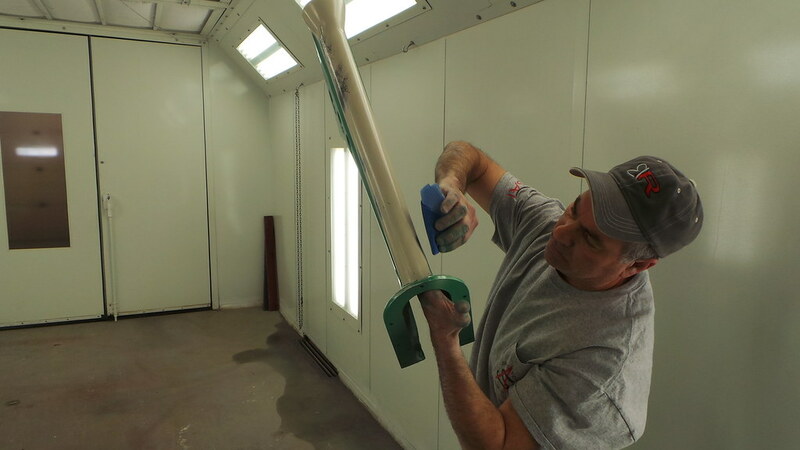 It was now time to head into our Global Finishing Solutions Performer paint booth to lay down the first bit of color for the interior. 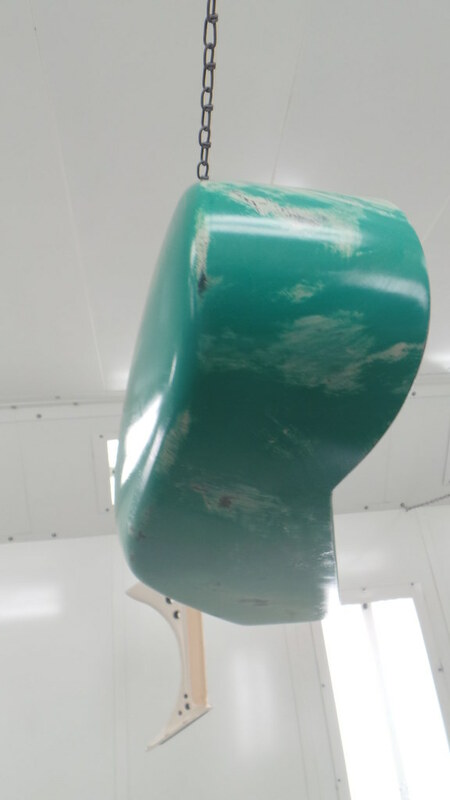 Continuing our WWII bomber theme, we went with a traditional Seafoam Green paint with a white base that we then sanded to add patina and wear. 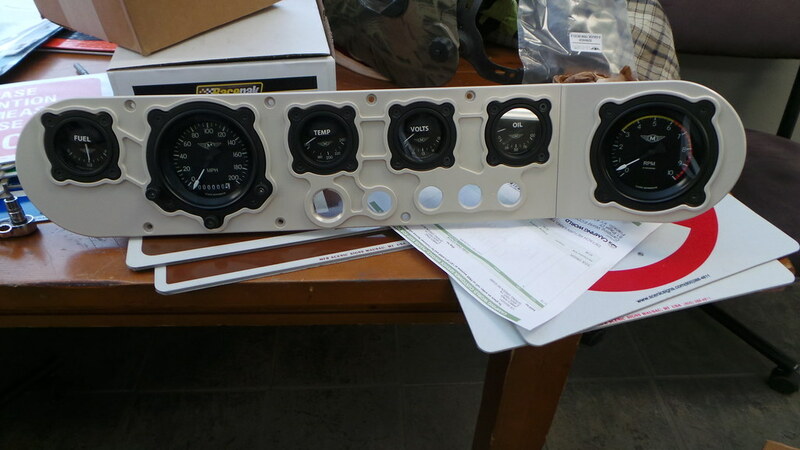 After the paint cured it was time to install our brand new aviation-themed gauges from Classic Instruments and get all of the wiring bundled up. While all this work was going on in the front of the cab, the coach section of the Winnie was undergoing the first step of its transformation as well. 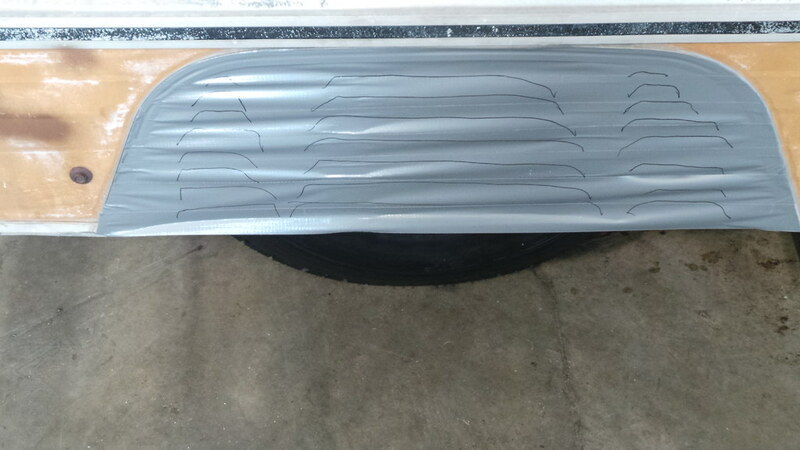 New rear wheel wells were fabricated and then all of the exposed sheet metal was covered in Dynamat because, let’s face it, nobody wants to have to endure excessive road noise in a custom RV. 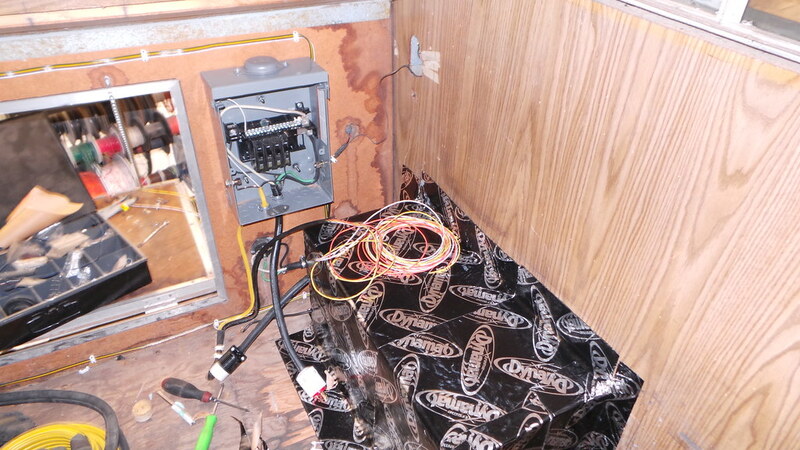 Finally, the new electrical junction box was installed so that we can wire can wire in all sorts of fun electronics later. 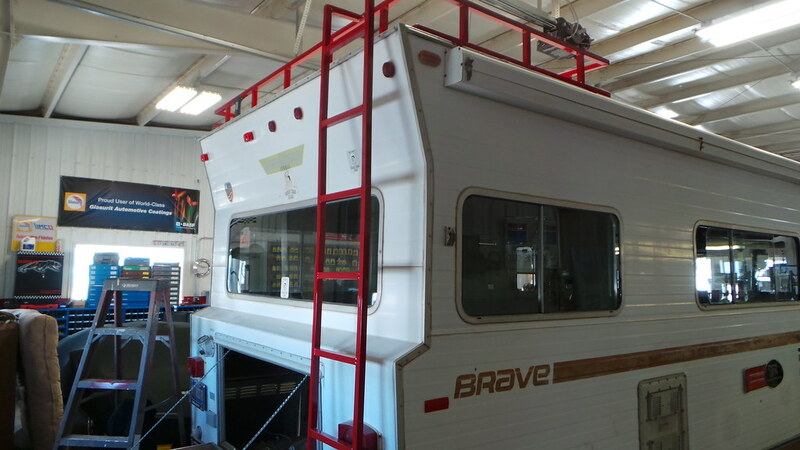 Though most of the work has been taking place on the interior, don’t assume that we are neglecting the exterior of our Happy Camper either. 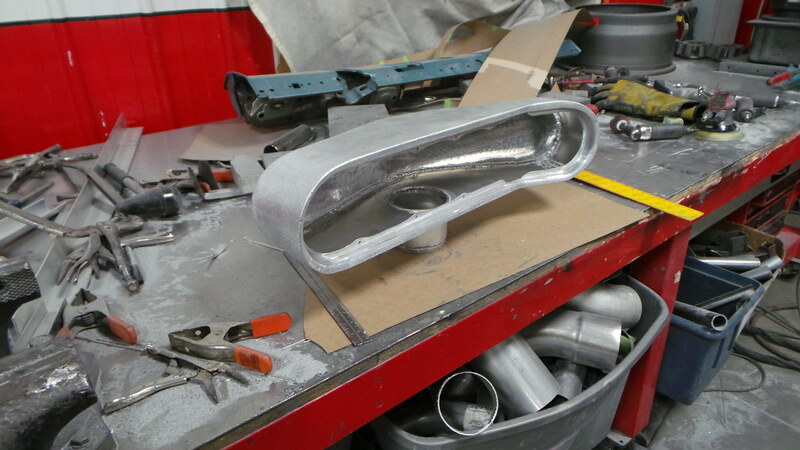 One of the first areas that needed attention was the headlight panel and front bumper. We replaced the old, rusty panel with a brand new sheet metal piece with upgraded headlights while also adding a trim piece to the bumper that brings the design theme from the cockpit to the exterior. 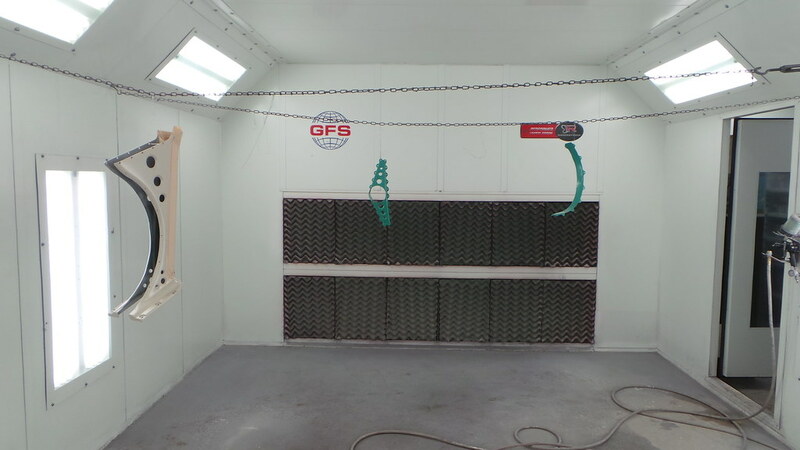 While we were at it the ladder and luggage rack also received a new coat of paint to make it look better and protect it from the elements. 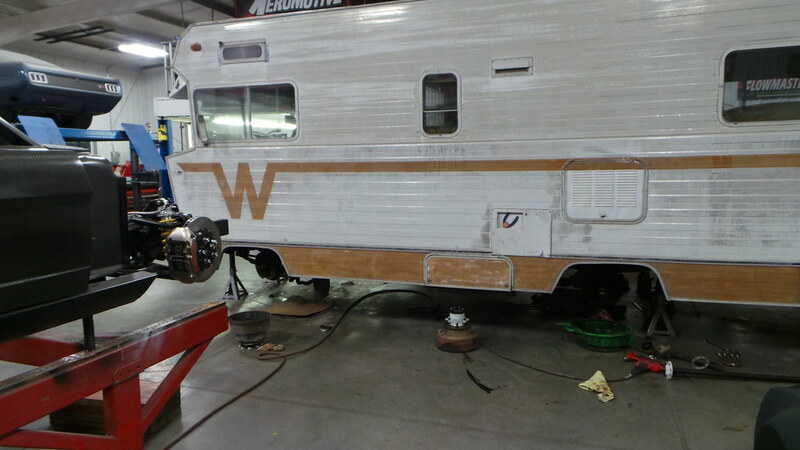 Finally, we mocked up louvered wheel covers to see how they changed the look of the RV. 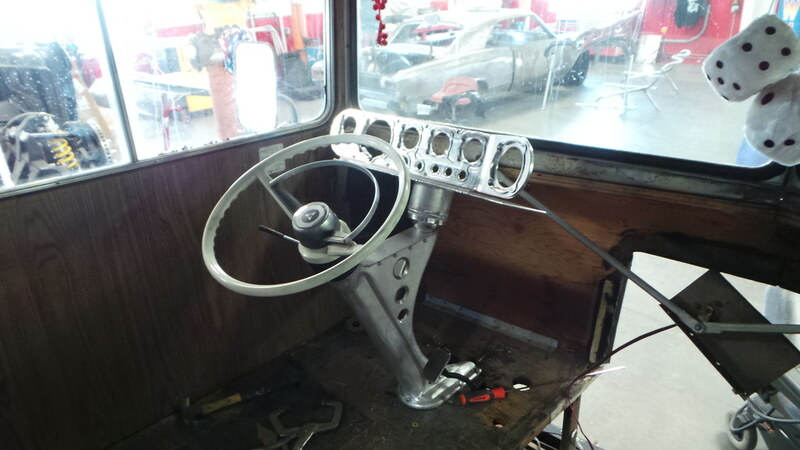 We have lots more going on with the build so make sure to stay tuned to our blog for Part 3 which will include the Happy Camper getting its new heart, the total transformation of the cockpit, and more.